Swing Dress Just $14.99! Down From $33! Shipped! You are here: Home / Great Deals / Swing Dress Just $14.99! Down From $33! Shipped! This deal expires on January 10! 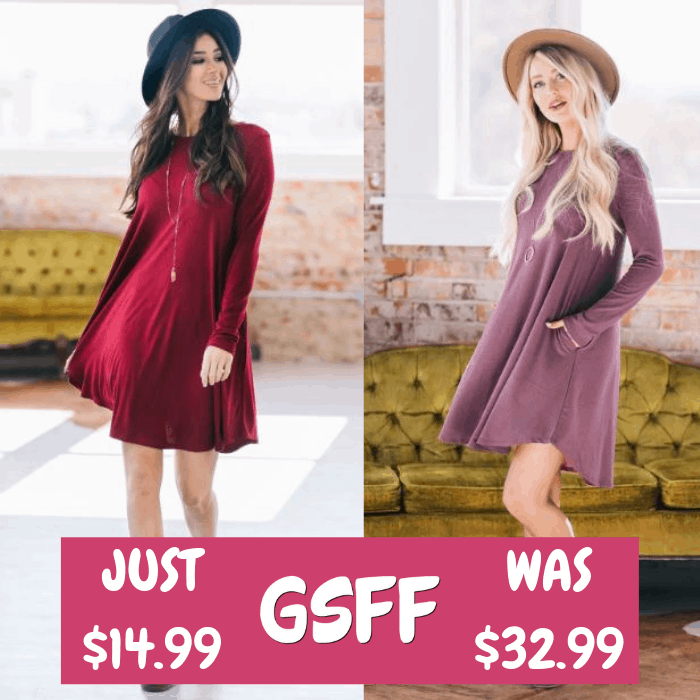 Head over to Jane to get this Long Sleeve Swing Dress for only $14.99 down from $32.99 PLUS FREE shipping! This Long Sleeve Swing Dress is a must-have this season! This dress has such a comfortable fit, its soft fabric drapes beautifully and is flattering on all body types. This piece has trendy pockets that complete the fun, casual look of this dress. You won’t regret adding a couple of these adorable dresses to your closet!